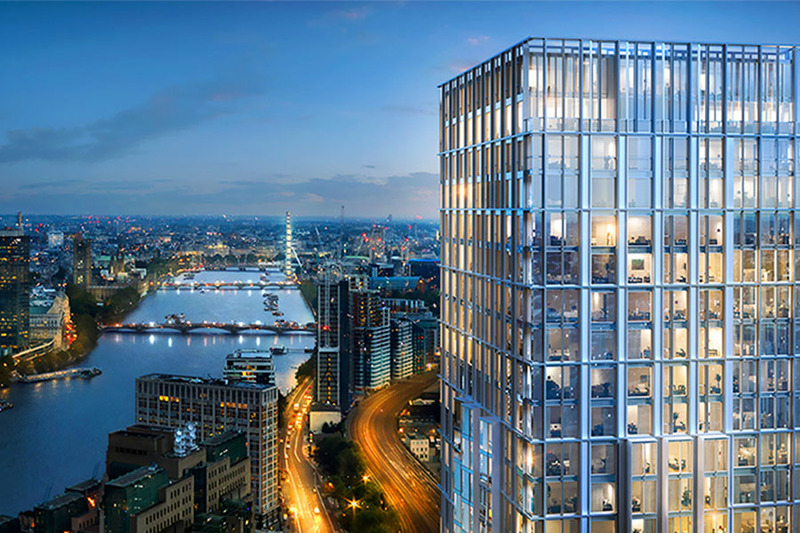 Nine Elms Property Ltd, a wholly owned subsidiary of leading luxury real estate developer DAMAC International Limited, has announced the rebranding of its premiere international development to DAMAC Tower Nine Elms. Launched as AYKON London One, the award-winning project is set to mark London’s skyline by late 2020, with construction speeding ahead as planned. “This is our premiere development outside of the Middle East, and a landmark project for the UK’s capital. As such, we have decided to leverage DAMAC’s global brand strength as a leading luxury developer, while paying homage to the neighbourhood,” explained Niall McLoughlin on the behalf of DAMAC. DAMAC, a globally-recognized name with a 16-year track record of delivering over 21,700 luxury real estate units, has particular cachet with international investors, adding considerable value at sister properties across the world. This includes ‘DAMAC Tower’ developments in Dubai, in the UAE, as well as capital cities Beirut and Amman. The 50-storey residential tower is located in one of London’s prestigious residential addresses, Nine Elms on the South Bank, a significant business district and a new arts and culture centre for the city. The rebranding also honours the neighbourhood’s rich history, inspired by the row of picturesque English elm trees that lined the district’s main lane. The project is on schedule for completion by December 2020, with most of the core work set for the initial 12 floors of the North Tower, while the South Tower has been raised to the second level. Leveraging modern technology construction solutions, the developer has set up live-view cameras for homeowners to remain updated on their investment. A rare opportunity to own a luxurious home in one of the most desirable international city, the project will comprise of apartments with superior finishing. The development will also feature a special ‘winter gardens’ area that offers panoramic views of London.